Teachers and students returned to school Monday after mid-winter recess. I am pleased to say that when I visited classes, the children all looked well rested and happy to be back in school. That says a lot about the nurturing and academically rich environment that we have created for our students at AES. Your children really enjoy coming to school! Speaking of environment …… you may have noticed that Yonkers PD has been assisting with our students’ arrival and dismissal every day. This new procedure was put in place because several parents reached out to me about safety issues during these busy times of day. I voiced your concerns to Mayor Spano and, with his assistance, we are now able to relax with safe streets due to these daily patrols. Please don’t forget about double parking rules. These rules will be enforced and a violation could result in a $ 90.00 fine! As we inch closer to spring, we must inform you that our snow day giveback will be made up on Holy Thursday. Students will attend Mass and dismissal will take place at noon. Again, the week went by much too quickly. This morning we celebrated our first Friday mass and an early dismissal for students allowed for a faculty conference with our teachers in the afternoon. This evening Moms and their dashing sons will enjoy a memorable evening at our Mother/Son Night. I am certain that a good time will be had by all those who attend this very special event. Instead I became a painter and wound up as Picasso.  Reminder ….. this Sunday, March 3rd, Grade 4 is assigned at the Children’s Liturgy at Annunciation Church. Reminder ….. Kindly, return re-registrations forms. The deadline is March 24th.